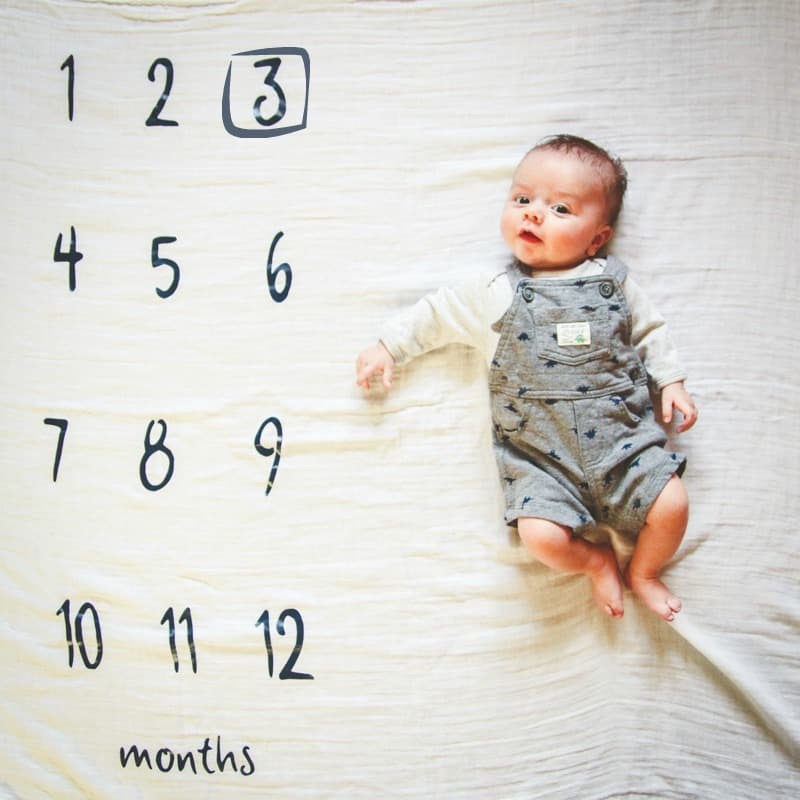 I blinked, and just like that baby Ben is 3 months old! 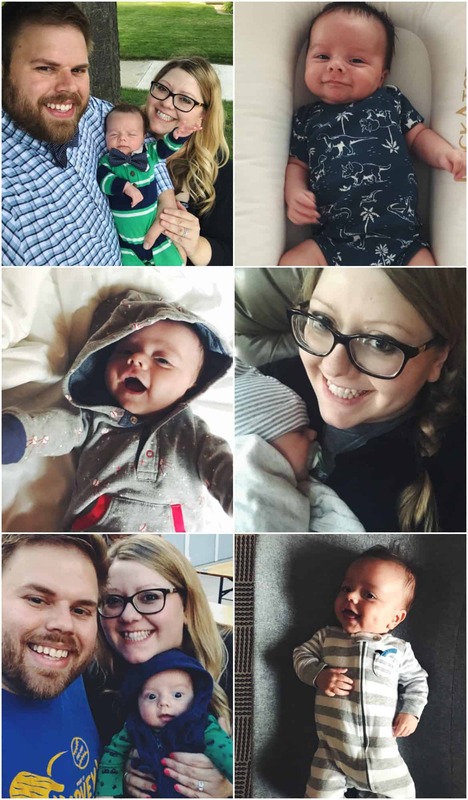 When I was pregnant, people would ask me if I’d be sharing updates about Ben on the blog. 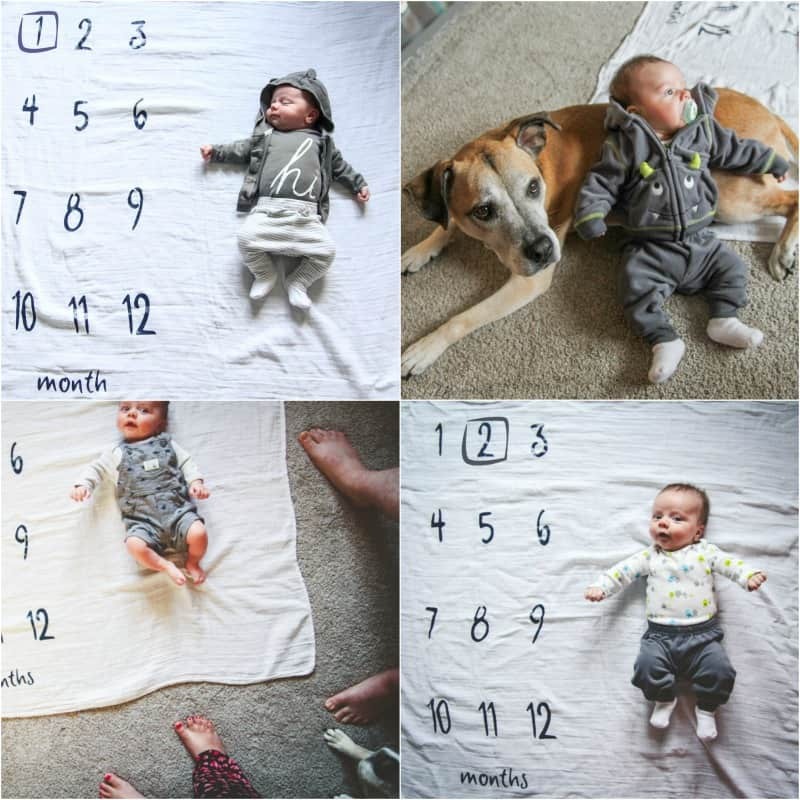 I didn’t quite know the answer, but then I shared a little update when he was a week old, and got asked to share more updates, and then I shared another update when he was 1 month old, and since I’ve gotten emails asking when the next update is, so here goes! First off, thank you so much for liking these more personal posts. I never really know what to expect when I hit ‘publish’, but it truly makes my day reading your comments and emails and connecting on a personal level. So thank you!! 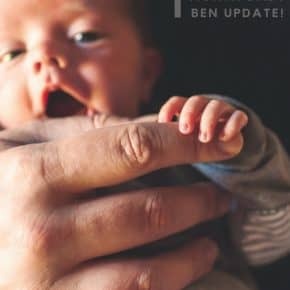 Now let’s talk about this little cuteness that is baby Ben! 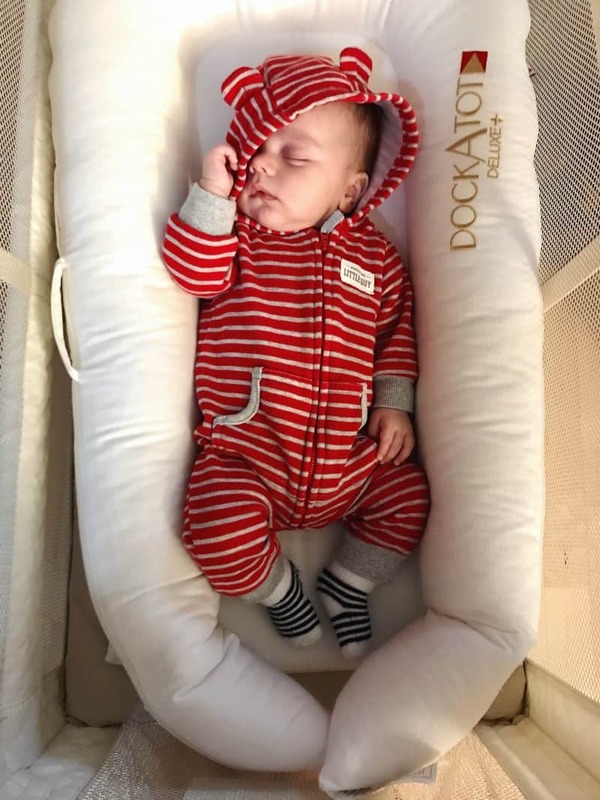 Ben loves this thing called a DockATot. We put him in it in the day for naps, and I think it really makes him feel snug and secure. It’s a little pricey, so I hadn’t purchased it until I saw a few friends with babies use them. I asked them, and everyone gave it rave reviews, so I got one, and boy am I glad I did. Money well spent! 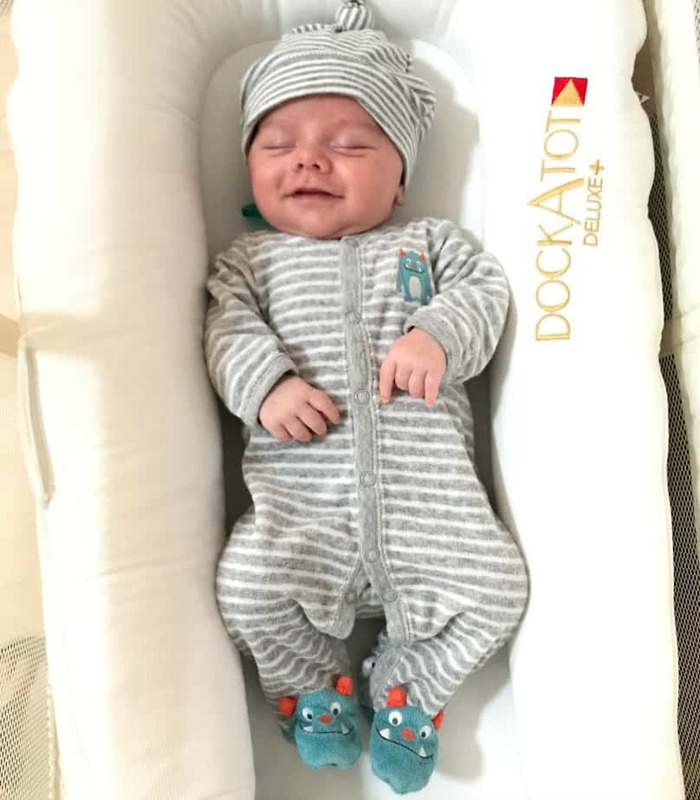 Just look at him sleeping in the DockATot! He also loves laying on his changing pad and squawking. I got this awesome one on Amazon. 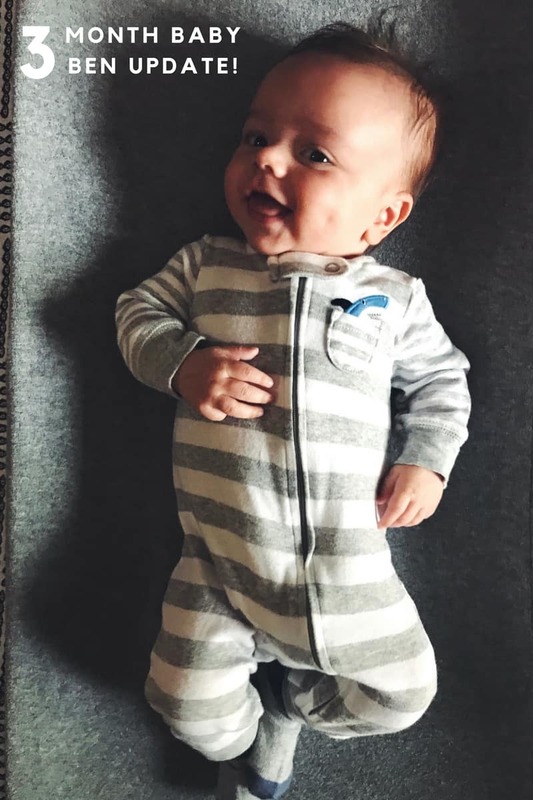 It has grips on the bottom, which I love, because when he’s being a little squiggle bug and kicking his feet around, the changing pad isn’t moving with him lol. He’ll lay on his mat and sit there and make the funniest sounds. We got this crazy tent teepee/pay thing at Target. We have very few baby things, things like mats/toys or whatever, we actually had zero play things, so Nick said he needed something, and this had a bunch of features combined – a mat and a mobile. He loves it, he loves looking at himself in the mirror lol, and it is a pretty cool thing. What does Ben detest? Tummy time…or as it’s jokingly called “tummy torture” lol – just look at this sad face. We try playing with toys to distract him, but really he hates it, pure and simple. There’s nothing like when you catch a smile, it brightens my day. It’s really hard to leave him at daycare on daycare days. It’s funny to see fathers come in, drop their kids off and just leave, all the while I’m still sitting there saying goodbye and snuggling. Over labor day weekend we went on a little trip up north to visit Nicks grandparents (I talked about it in this post), it was really nice, and Ben did awesome on his first road trip. I’m thinking for the next few years, road trips will be the way to go. I asked on Insta, but I’d love to ask here on the blog too – what are some of your road trip recommendations? hey girl- love the post! Ben is so cute! Thank you so much girl, so glad you liked this post! Thank you for commenting! our little dude also HATED tummy torture time! I remember talking with my sister about it and she said that all her kids hated it too. by the 3rd kid, she just gave up and stopped trying to do it all the time. 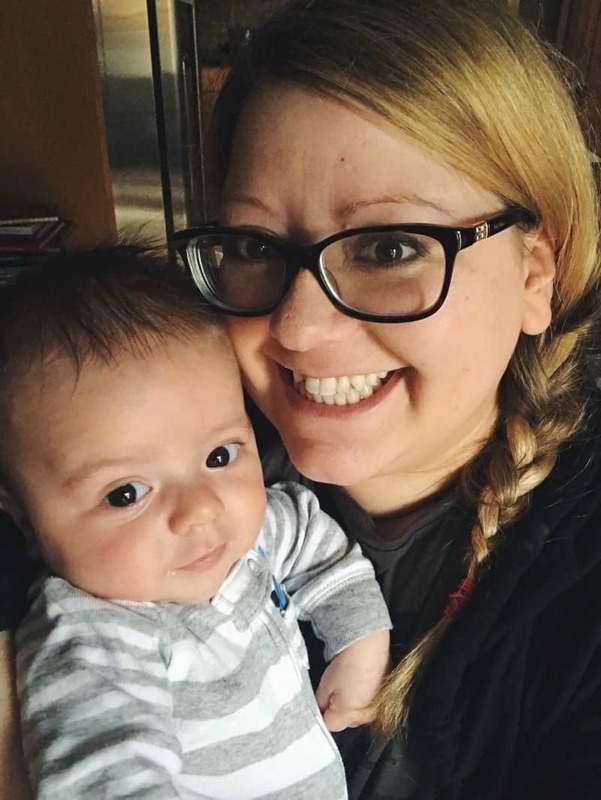 all of her kids developed and rolled over and crawled at about the same times, so you probably don’t need to worry about forcing tummy time so much. our dude finally didn’t mind it when he could consistently roll over from back to front and front to back. Thank you for sharing that! 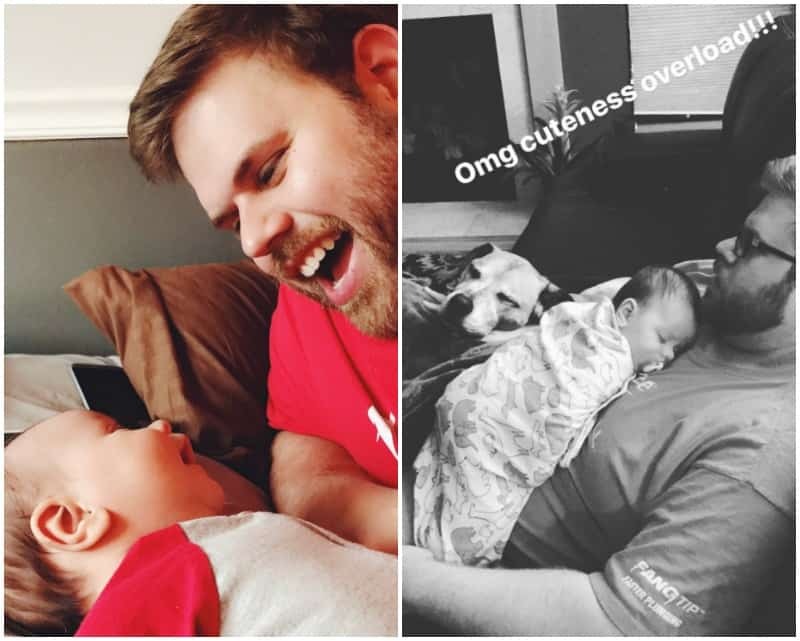 I read somewhere that you’re supposed to do tummy time right when you get home from the hospital…oops, we definitely did not, so I’m just giving up lol. Thank you again for sharing! He’s such a cutie!! I love that teepee tent, too! Thank you! 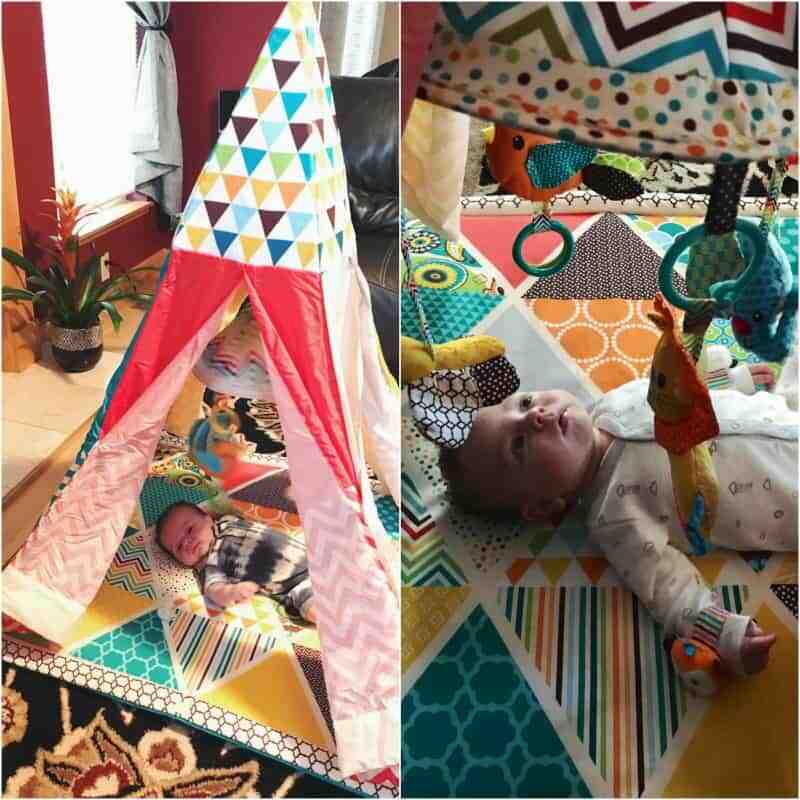 And girl, I’m totally in love with the teepee tent thing too, and it wasn’t even that expensive – as baby items go lol. He is so cute and so sweet, enjoy him when he is small, they grow up so fast! Thank you so much Kay! I can’t believe how fast time flies now! I am loving at night when I come home from work, I snuggle the daylights out of him lol…he falls asleep and I can’t put him down because it’s just too cute. I know it’s just a phase but I can’t help but love every second out of it! 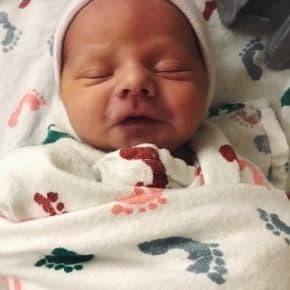 I have a 7 week old daughter and totally can relate to all of your posts, so thank you for writing them! My daughter also detests tummy time, but loves laying on her changing mat and cooing. I’m 100% dreading taking her to daycare next month when I return to work. Any tips on getting through it? Her daycare is super close to where I work, so I have the option of going to see her on my lunch hour, but I’m not sure if that would be helpful, or just make me miss her more. Thank you so much for your wonderful comment! You know, the more people I talk to, the more I’m finding that tummy time is just not a fave lol. In talking with some grandparents and older people, they said that they were told to put their babies on their stomachs as soon as the chord fell off when they got home from the hospital, so ‘tummy time’ was never a thing. Must be generational lol. Our pediatrician said to keep trying, so slowly slowly we’ll keep giving it a go (even if I’m like ‘ok, enough’ after 2 seconds lol). Oh goodness, I can tell you I will never forget the feeling leaving him at daycare the first time. It sucked, pure and simple. I went to my car and cried. So I too work close to daycare. What I did the first time, and what I might suggest makes it a little easier is that I did a half day trial run. So I dropped him off at daycare and then went into work for a few hours, and then picked him up early. I did that for 2 days, and then it was easier to leave him there all day. I did call to ask about him twice the first day lol, and I still call every once in a while just to check in. It’s hard still to drop him off some days, but they are really good at the day care so I know he’s in good hands, and I try telling myself it’s good that he’s getting different experiences in life. Also, I do have to tell you that the afternoons/evenings when we get to cuddle are that much sweeter because I’ve missed him.